Reading Literacy Essentials, it could almost be called “Life Essentials”. Regie mixes research and practice with personal stories as a wife, parent, grandparent, friend, and unique individual. She offers suggestions for becoming a better teacher and a more interesting person. Joy can be had in the classroom and in life; they are not mutually exclusive. This makes Regie’s new book essential reading for all educators. Teachers need to be leaders, and leaders need to know literacy. One of the best moves I made as a teacher in my early years was moving grades. I was hired to teach 5th and 6th grade in a multi-age elementary building. Due to enrollment, we needed a 3rd and 4th grade teacher for one year. Being the low man on the seniority totem pole, I felt obligated to volunteer for the move. My aspirations were to teach middle-level students, so this wasn’t a 100% agreeable move. What I learned in my short time with younger students, what made it a great move, was that I realized I had not been teaching reading. Check that: I was teaching reading as a subject, but I had not been teaching readers. Or writers for that matter. Literacy was merely another subject in the school day. Teaching younger students helped me realize that I had to become a more responsive teacher for my students. I couldn’t break open a box of the same books for a novel study and expect them to become better readers. With these 3rd and 4th graders’ strengths and challenges more evident in the classroom, it became apparent to me that I needed to improve my practice. I connected with a literacy specialist, who directed me to some essential resources, such as Strategies That Work by Stephanie Harvey and Anne Goudvis. When I did move back to the 5th and 6th grade level, my learning was just getting started. I discovered I Read It But I Don’t Get It by Cris Tovani, Yellow Brick Roads by Janet Allen, and Reviser’s Toolbox by Barry Lane. Through these resources, I found mentor texts and teaching ideas that helped me become a better teacher of readers and writers. Without that move, where I might be today is (thankfully) a mystery. Fifteen years later, I am now helping lead an online book study for the resource Becoming a Literacy Leader: Supporting Learning and Change by Jennifer Allen. I have not come full circle in my learning about literacy and leadership; this is just the next step in my professional journey. By bringing other literacy leaders into this blog, I believe it will become an even better site for professional reflection and idea-sharing. I know it will for me. The lessons I learned from my teaching days have carried through to today. As an elementary principal, I have to be the model for everyone in the building and continue to learn. Based on the recommendations of other professionals, Jennifer’s book will be an essential guide for me as I prepare for the upcoming school year. Not that I will agree 100% regarding everything stated in the text. (I am already thinking about a contrary post regarding rubrics and writing assessment.) Productive disagreement is important when considering new ideas. Whether you are also reading this book or you will follow along with these posts through July and August, I encourage you to also participate, even disagree, through the comments of each post. We become a smarter profession through this work. It’s June. Many are itching to call it a year. The local swimming pool is open, and it’s much more inviting than that next page in the textbook –> for the students as well as the teachers. Three months from now, our kids will arrive back after a much-needed break, take a reading screener, and the results will tell us what we already know. Here’s the deal: Some kids leave school and read a ton, and some do not read at all. How can we encourage the latter to engage in habitual reading over the summer? Some argue that it is the classroom teacher that must be the primary influencer in this task. This is a noble statement. Yet it can also be a tall order for a teacher trying to turn a really resistant student into a lifelong reader. He/she might need several teachers in a row to spark a love for literacy plus a purpose for engaging in text. Cahill, Horvath, Franzen, and Allington wrote a helpful resource titled No More Summer Reading Loss (Heinemann, 2013). I have explored some of their ideas in my prior school, such as opening up the library during the summer. Yet I have not been strategic in these efforts. This year, we have made more concerted efforts to target our students who need to read the most, while encouraging everyone to read every day. Our primary approach to encourage summer reading by facilitating authentic experiences. We don’t want to make a judgment in sending home books for our students who received additional support in reading. Yet we know that the typical student who struggles in reading has less access to text in the home. That is why we are sending home books in the mail to these kids over the summer. It can’t get more authentic than a book, right? They were provided choice in what they wanted to read. Our two reading teachers gave each student a visual list of high-interest titles that they could circle with a highlighter. Then the teachers ordered the books, sorted them, and prepared each title for staggered mailing. This was a lot of work on their part, but worth it as we believe more books in the home can make the difference. I am the first to admit that technology is not the panacea that some enthusiasts might like you to believe. However, when it comes to issues of access, technology makes perfect sense. Getting a kid to the public library can be a challenge if parents are at work or it is too far away. Digital tools are ubiquitous in most homes now. Overdrive: Students can check out eBooks and audiobooks using their public library card number. Biblionasium: Like Goodreads for younger people, kids can rate, review, and recommend books for peers. Kidblog: An online writing tool that offers students a safe space to publish reflections on what they are reading, as well as to post digital creations. All three of these literacy experiences closely resemble how adult readers connect and interact with text. We as educators don’t reveal ourselves enough as individuals who engage in authentic literacy experiences . If a teacher or principal isn’t a lifelong reader to begin with…well, that’s a bigger problem. I’ll assume the former. For our last day activity as a school, a picture book was purchased for every teacher in the classroom. During our recognition assembly I will be encouraging teachers to read aloud their book to their students. In addition, each student will be receiving a small pocket journal. The suggestion will be to carry this around during the summer months and used it to maintain a reading list, a to-read list, or even a grocery list. Writing anything is better than not writing. If we can connect writing to reading, all the better. I plan on sharing an entry from my own pocket journal, which coincidentally contains ideas for how students might read over the summer. Promoting lifelong reading with authentic experiences has the potential to encourage more students to become avid readers over the summer. Interested in some summer professional reading? Contributors to this collaborative blog will be reading and responding to Becoming a Literacy Leader: Supporting Learning and Change, 2nd Edition by Jennifer Allen (Stenhouse, 2016). Jennifer’s updated text has many ideas for facilitating coaching cycles, preparing for excellent professional learning, and reflections from the field. Update 6-3-17: The sign up for this opportunity has been closed due to high interest. 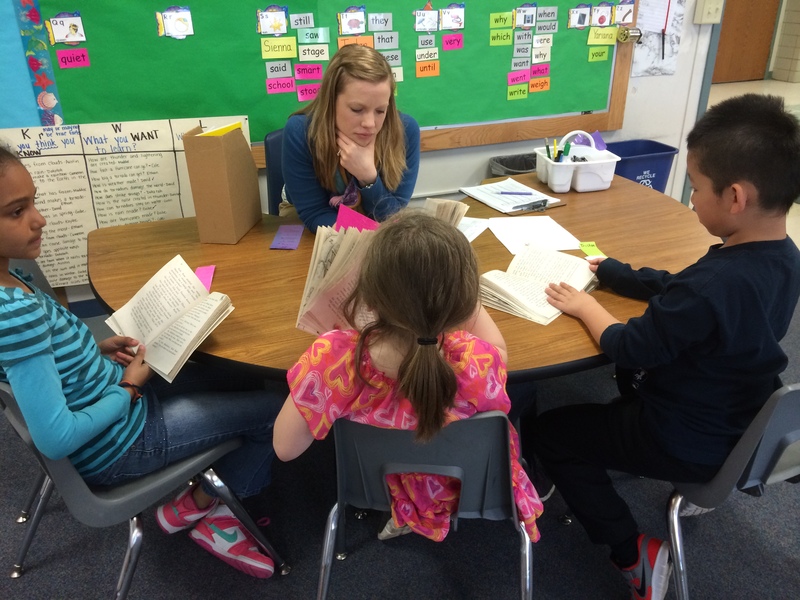 How Can Principals Support Effective Literacy Instruction? When we give students time to practice the skills we have explicitly taught them, it is only then that we allow them to become readers and writers. Teachers need to stop apologizing for taking a step back and allowing our kids to walk on their own path toward proficiency. Guiding students to become independent, lifelong learners should be the ultimate goal in any classroom. The Daily 5 framework (Boushey and Moser, 2014) gives structure and purpose when striving for this laudable goal. Highlighting Dr. Richard Allington’s 2002 article “The Six Ts of Effective Elementary Literacy Instruction”, here are three practices that can move kids forward: Time to read, lots of texts that are readable and interesting, and a teacher who knows his or her students and understands literacy. Principals are essential in supporting these practices in school. Principals can create time for teachers through thoughtful scheduling. One of our priorities when creating the school schedule is blocking off at least 90 minutes for literacy, and two hours in the primary grades. Then we hold that time sacred. Announcements are kept to a minimum. We do our best to ensure that intervention support takes place beyond that block. Less effective practices, such as worksheets and test prep, should not have a place during this time. Reading and writing also shouldn’t occur exclusively during this time. For instance, principals can encourage and expect teachers to integrate reading and writing within the content areas. This year, grade level teams in our school projected out integrated units of study (Glover & Berry, 2012). Students, especially English Language Learners and those with learning disabilities, benefit from seeing science, social studies, and literacy connect with each other in meaningful ways. Content integration is also a big time saver. Notice the use of the word “texts” and not “books”. Principals should consider comic books and graphic novels, eBooks, and magazines as worthy purchases. They can pique the interests of our most reluctant readers, especially boys. Rethinking what a text looks like can make all the difference for engaging students in reading. The best placement of texts is in a classroom library. In our school, we always try to devote a significant portion of our budget to this area. Teachers are given latitude in what titles to purchase for their classrooms. That’s important, because they know their readers’ interests and skills better than anyone. Through this investment, we have observed a high percentage of texts students carry come from classroom libraries. If there is a lack of funds, we consider other options, such as the school’s PTO, community organizations, and central office. Whenever we interview candidates for a teaching position, one question I always ask is, “What have you read lately?” If they struggle to come up with a title or two, it is fair to say they may not see reading as a lifelong endeavor. 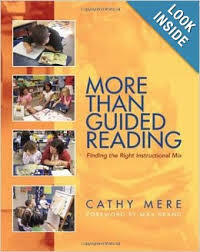 But to be an expert reading teacher, educators have to be more than just familiar with children’s literature. Quality instruction should include clear modeling, shared demonstration, guided instruction, and time to practice these skills independently (Routman, 2014). Showing teachers how to embed ongoing assessment throughout instruction can happen a couple of ways. For example, principals can bring in literacy experts to demonstrate these skills. If this is cost prohibitive, consider online professional development services, where teachers can view best practice in action. Also, time can be provided for teachers to collaborate about what works and share these findings. For instance, my second grade team held discussions about their understanding of the Daily 5 and the CAFE framework (Boushey & Moser, 2009). These visible conversations can elevate the professional discourse throughout the whole school. The subsequent impact on shared beliefs and student learning can be profound. Within the Daily Five framework are mini-lessons. These brief teaching points are critical toward building independent readers and writers. Without this explicit instruction in between these times to practice, students lack the appropriate modeling, purpose and guidance for their work. Just like in sports, players need an effective coach so they can practice both what they know how to do and stretch themselves to attain new skills. Well, certainly not the complex practice of classroom instruction. But what we should provide during our instruction is pretty straightforward: time to practice, texts that are interesting and readable, and great teaching. Allington, R. L. (2002). “The Six Ts of Effective Elementary Literacy Instruction.” Retrieved from http://www.readingrockets.org/article/96 on April 20, 2014. Boushey, G. & J. Moser (2009). The CAFE Book: Engaging All Students in Daily Literacy Assessment and Instruction. Portland, ME: Stenhouse. Boushey, G. & J. Moser (2014). 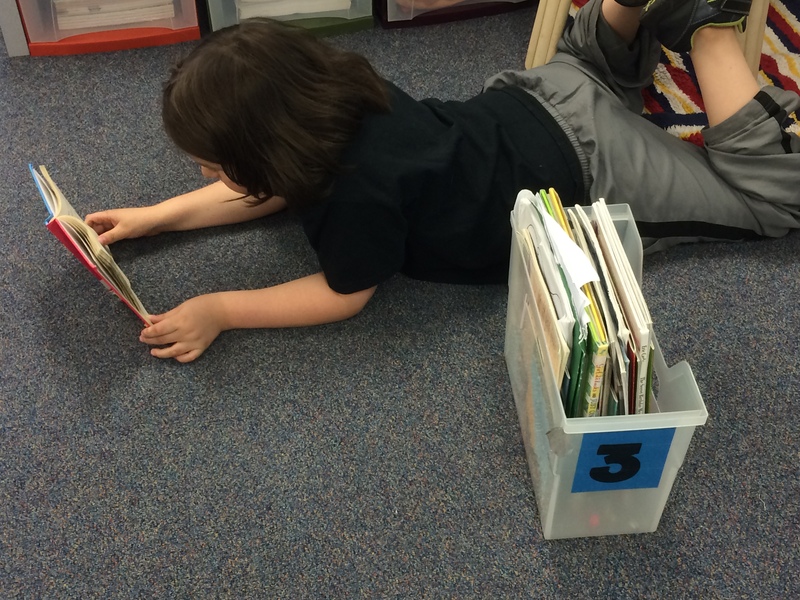 The Daily Five, Second Edition: Fostering Literacy Independence in the Elementary Grades. Portland, ME: Stenhouse. Glover, M. and M. A. Berry (2012). Projecting Possibilities for Writers: The How, What, and Why of Designing Units of Study, K-5. Portsmouth, NH: Heinemann. Author Matt RenwickPosted on May 7, 2014 Categories Leadership, Reading, Teaching, WritingTags blogstitute, cafe, Daily Five, stenhouse16 Comments on How Can Principals Support Effective Literacy Instruction? This screencast was created to present four ideas for how teachers and students can use Evernote during the K-5 literacy block. The content shared here started our staff’s fourth and final tech night of the year. While I can talk about technology use in the classroom, Cathy and my teachers are doing it, every day. That the work they do is grounded in strong literacy instruction makes all the difference. Their approach in considering how digital tools can best support and augment student learning is the right approach.